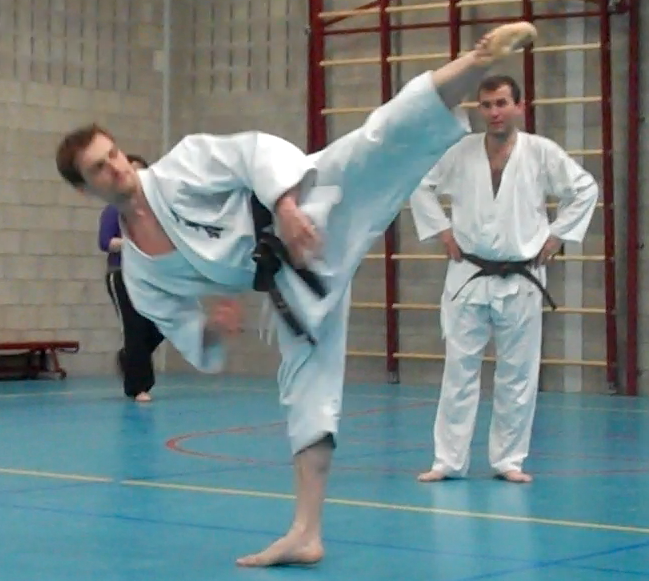 Karate & Kobudo Delft is a martial arts club (dojo) founded in 2006 and situated at the heart of the historical village of Delft, in The Netherlands. 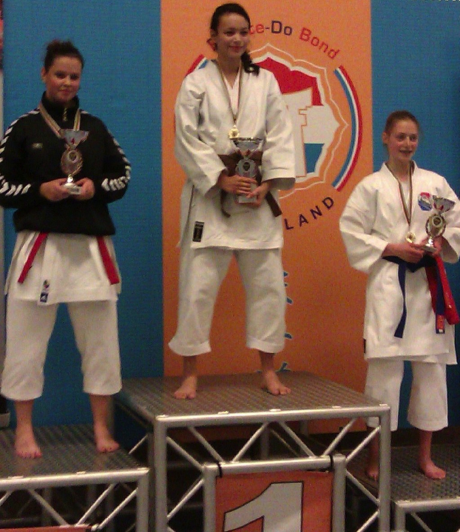 The dojo forms part of several organizations such as the Dutch Karate Federation (KBN), the European Shitokai Association (led by Ishimi Yasunari, 9th dan and technical director for Europe of the Japan ShitoKai Organization) as well as of the Nederlandse Federatie Krijgskunsten (NFK) and the Stichting Okinawa Kobujutsu Nederland (SOKN) both led by Win v.d. Leur (8th dan Kobudo and 7th dan karate). The aim of the dojo is to combine the focused practice of traditional Karate and Kobudo, combined with the different personal goals that practitioners may have to practice these disciplines. 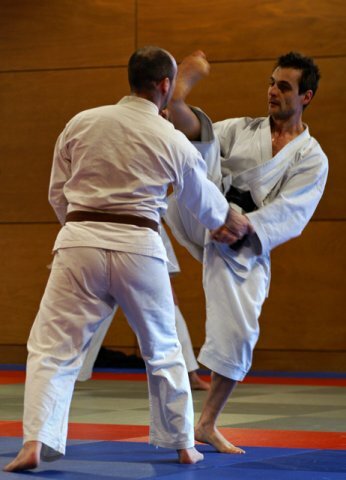 In all cases we strive for the acquisition of a solid technical basis through continuous training of kihon (technique) and kata; furthermore, the club practitioners are gradually familiarised with the fighting system (kumite), both sportive (shiai) and traditional (kihon kumite, jyu kumite, etc). Althought we are not primarily focused on sportive karate, some of the students take part frequently in competitions at national and international level with significant results. The dojo has around 40 practitioners of all levels of knowledge, with no previous experience to years of practice, and different ages (as from 13 years old). Further the dojo is quite multicultural with practitioners of several different nationalities (Dutch, Spanish, French, India, etc). 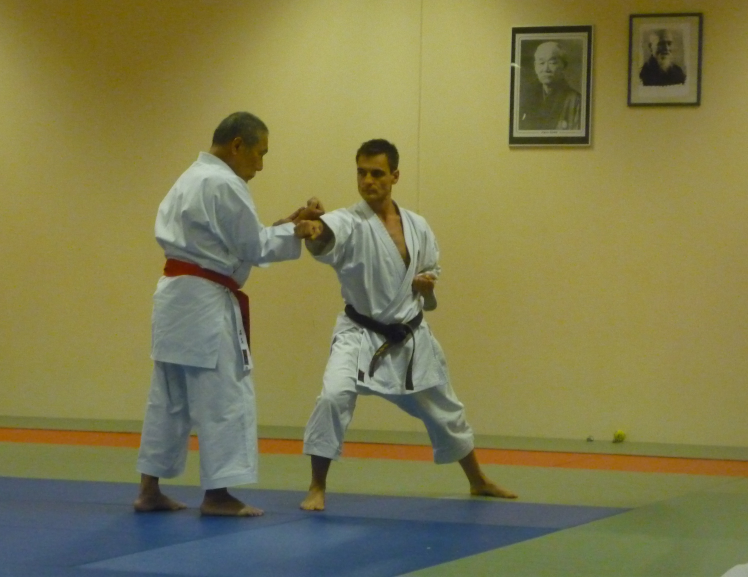 Often practitioners from other Karate stiles like Shotokan, Kyokunshinkai, Rembukai, Shorin-ryu or Uechi-ryu, have joined our dojo seeking to broaden horizons, to sharpen concepts and technique or, in most cases, to switch 100% to Shito-ryu. 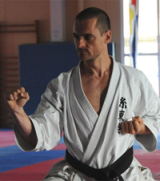 The instructor (sensei) of the dojo, Gonzalo Villarrubia, holds a black belt 5th dan in karate and he is also the technical coordinator of the Shito-ryu Karate platform at the NFK. 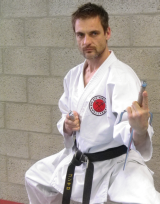 Furthermore, Gonzalo holds a black belt 3rd dan in Ryukyu Kobudo. Moreover, Gonzalo completes his Bujutsu education by practicing Eskrima (Kali & Arnis), a fighting system from Philippines. Karate, a discipline with several different approaches: Karate is a martial art developed in Japan and born in the Japanese Ryukyu Islands (Okinawa) from indigenous fighting methods (To-de) with the decisive influence of Chinese kempo. Karate is also a healthy, long-lasting path into physical and mental conditioning because it requires a good deal of body coordination, orientation, strong mind and endurance as well as the proper attitude (kokoro) such as perseverance, discipline, continuous effort and patience. 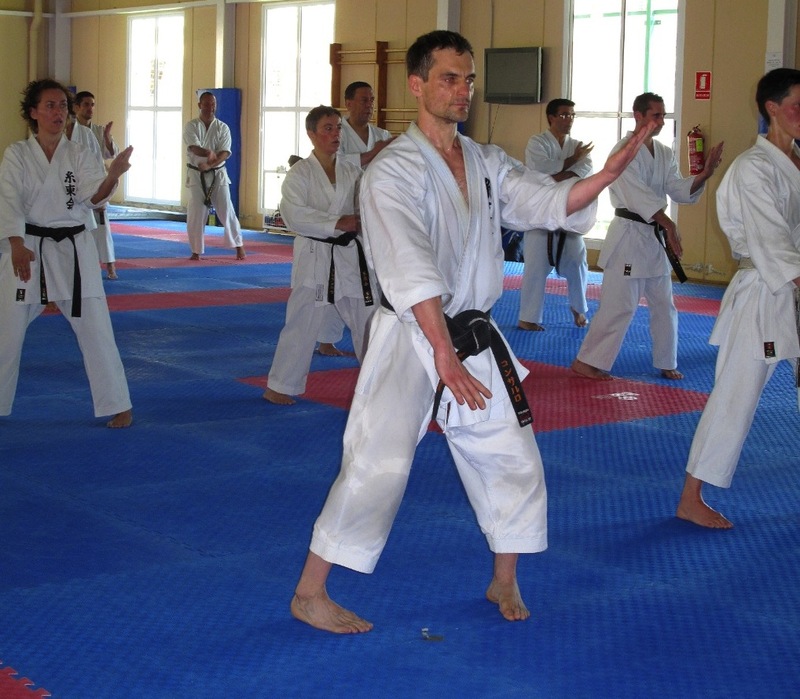 Further, karate can be practiced as self-development (Budo), sport (competition) and/or self-defense. While traditional karate places emphasis on Budo and self-defense, sportive karate does it rather on physical exercise and competition. 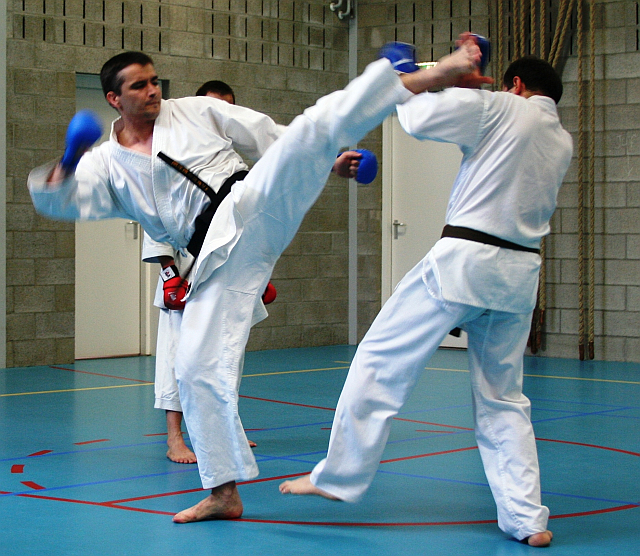 In all cases, karate training commonly contemplates the practice of kihon (basics or fundamentals), kata (standardized sequence of techniques), and kumite (sparring). Shito-ryu Karate: the hard and soft way combined: Shito-Ryu Karate is one of the five most practiced worldwide Karate schools, toguether with Goju-ryu, Wado-ryu, Kyokushinkai and Shotokan. However, Shito-ryu, contrary to the rest of Karate schools, knows and practices katas from three Okinawan styles, being Shuri-te, Naha-te and Tomari-te as well as numerous chinese katas; this repertoire makes Shito-ryu Karate a richer, more comprehensive and, perhaps, complex Karate school. The founder of Shito-ryu was Kenwa Mabuni (1889–1952). Ryukyu Kobujutsu is the Japanese term used for the ancient art of Okinawa weaponry, which can be translated as “Old Martial Way of Okinawa”. Okinawa Kobujutsu consists of different weapon traditions of Okinawan origin: Bo or Kon (wooden staff of 1,83cm, cudgel), Jo Bo, Roku Shaku Bo, Kyu Shaku Bo and Eiku (Suna Kake no Kon); Sai and also Manji Sai (metal truncheon), Tekko (horse shoe), ; Nunchaku (also San Chaku) (horse bridal); Eku (oar), Tonfa (Mill grind Handle), Kama (sickle), Tinbe-Rochin (shield and short spear) and Surujin (short and long Surujin). Contrary to popular belief and martial arts myths, Okinawan weapons were not derived from farm implements because peasants did not have the time or energy to devote themselves to studying farm tools for martial use. The oldest documented history for Kobujutsu is believed to be around 1762 with Sakagawa Chikodun Peichin Kanga (1733-1815), a native of Okinawa whom traveled to China in order to learn the art of Tode (China Hand) and the use of the Bo. Another master responsible for the growth of Ryukyu Kobujutsu was Yabiku Moden who formed the Ryukyu Kobujutsu Kenkyu Kai, the Association for the Study of Ryukyu Ancient Weapons Arts. Yabiku’s most famous student was Taira Shinken who is regarded by historians as the most central Kobudō master of the pre-war era. Taira also was the most notorious kobudo student of Mabuni, the founder of Shito-ryu Karate, as he remains Mabuni’s student from 1934 to 1940.